I’m so excited to share with you my very first home office 360 video tour today! 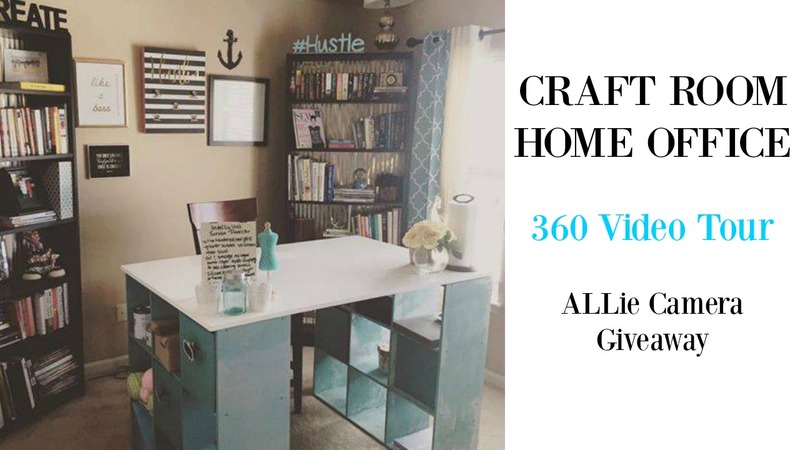 360 Video means you can use your mouse of finger to move the ALLie 360 camera around the room, that means you can follow me around the room as I do this craft room tour! Not only am I doing a tour but I’m giving away an ALLie 360 camera! Yes that means you can make your very own 360 videos, or set them up in your home to watch the entire room all day. Think looking in on the babysitters, or catching your baby’s first steps while you are at work. The possibilites are endless. I learn more about the ALLie Camera and to win your very own click here and enter the giveaway below!